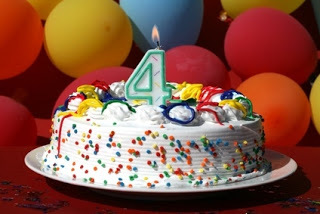 Zanziber's Point of View: 4 years strong! Another year has gone by, and I have yet to run out of reviews. Since joining Twitter last year, I've picked-up over 280 followers and have started to share older reviews through #ThrowbackThursdays. You can follow me at @ZanziberPOV. The reviews on the Borderlands Games website are all gone. I wish I had kept them because I'd love to post them on my RPG4EVR blog for role playing games. Lesson learned because I have copies of ever single review I've posted here archived on one of my external hard drives. As for pitching a weekly article to the local newspaper, I haven't gone down that road... and I doubt I ever actually will. I think the biggest reason behind that decision is because I would prefer to keep myself accountable to just me. I'm working on a project to raise money for the American Cancer Society. I call it "Comic Book Covers For Cancer" (#CBC4C). The idea stems from a project that The Hero Initiative ran this year with artist covers for The Walking Dead #100. As you can see from that website, these covers raised a considerable amount of money. I'm working to start small with local artists to raise money for cancer research. This will also help to promote each artist's name and work. Each artists would donate their work on some various blank cover comic books that I will provide. In turn, I will auction off each completed comic book with the proceeds going to the ACS. With each comic sold, I will include artist information and a certificate of authenticity. A special shout-out to my LCS; Tony's Kingdom of Comics. Tony is the best "comic book guy" in the local area. He is also my biggest sponsor for #CBC4C! Without him, this would be a difficult task. As I've posted before, there is a simple way to support this blog. I have an affiliate membership through Lone Star Comics. If you click on the link (located below) and make a purchase, I will receive a % of your purchase as store credit. This is the closest thing I have to a sponsor right now. I appreciate those of you who follow my reviews and those who have helped by making purchases through my affiliate link. I hope that the coming year provides as much fruit as the past years offered. As always, I'm open to suggestions and requests for reviews. Here's to another year of reviews. Enjoy and thank you for your continued support.